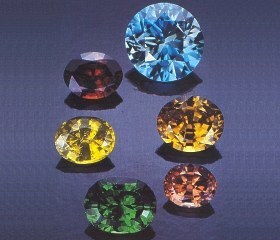 Citrine – Citrine is the lovely yellowish gem belonging to the quartz species of gemstones. 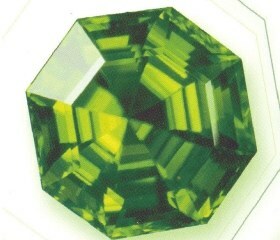 Its name is derived from its lemon-yellow color and the French word “citron”, meaning lemon. 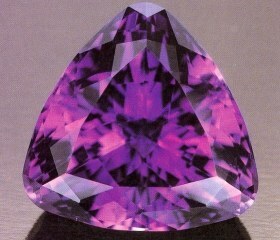 Most commercial citrines are heat-treated amethysts or smoky quartzes. Citrine is available in colors ranging from pastel yellows to wonderful orange hues, with the finest quality citrine being medium to dark in tone, vivid in intensity, and yellowish-orange in color. 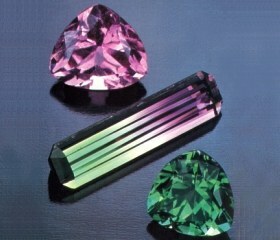 It is plentiful in nature and found principally in Brazil, Bolivia and Spain. The warm hues are reminiscent of the sun, health and vitality, and represent an incredible value for those who appreciate its colors. 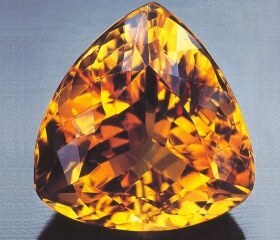 Actually, because of its beauty and lower price, citrine is commonly used as a replacement for topaz as the birthstone for November. Pearl – The pearl is unique in the world of gemstones, as it is the only gemstone that is formed within a living creature. Known as the birthstone for the month of June, pearls are truly a treasured gift of the sea and revered for their colors, shapes, sizes and luster. As the supply of naturally occurring pearls became exhausted man learned how to cultivated them by implanting an irritant into oysters, which produced pearls having the same outer appearance as their natural counterpart. Cultured pearls are grown and harvested in many parts of the world, including the fresh waters of the Tennessee River, and are available in many beautiful colors, from the palest cr?me and white to rose, lilac, green, gold, gray and the dramatic Tahitian black. The majority, however, come from Japan, China and the South Pacific. Today, the pearls from the Japanese Akoyah oysters are becoming the most prized, as unfavorable biological and environmental conditions have reduced the availability of larger and finer quality pearls from the salt waters of Japan. Human innovation, however, has compensated for natures hardships as man has perfected the cultivation of the larger freshwater oysters in the lakes of China, producing an abundant crop of beautiful cultured pearls ranging from lustrous white to naturally occurring soft pastel colors. 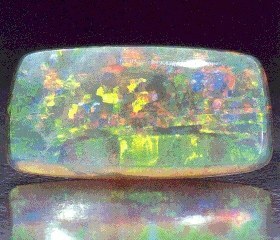 To find beautiful pearls in much larger sizes, exceeding nine and ten millimeters in diameter, one must look to warm waters of the South Pacific where magnificent whites from Australia and dramatic natural blacks from Tahiti are harvested to produce one-of-a-kind necklaces or combined with diamonds for truly magnificent pieces of jewelry. 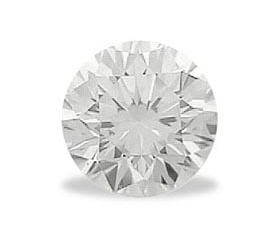 In the cultivation process of all pearls man can only begin the process by implanting an irritant within the muscle of the oyster. 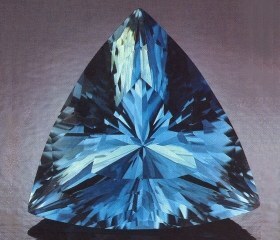 After that it is up to the mollusk to produce a fine gem, a very poor gem, or something in-between. 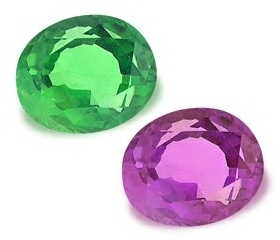 Similar to the way any gemstone is judged, the value of any pearl will depend on rarity, beauty, size, color, luster and degree of perfection. 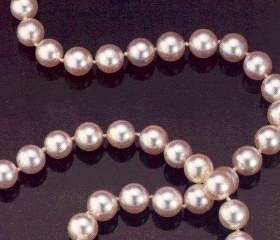 In the case of a strand of pearls, the quality of how well the pearls are matched is also an important consideration. In the world of pearls there is something for everyone. 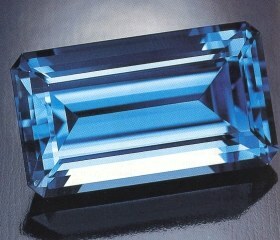 Sapphire – Birthstone for the month of September, the name Sapphire comes from the Greek word “Sappheiros”, meaning blue. 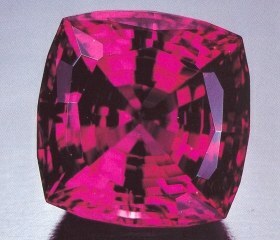 However, sapphires are formed in nature in a literal rainbow of colors, ranging from very light to very dark blue, bluish green, yellow, brown, pink, violet, slightly reddish orange, and a fabulous pinkish-orange that is referred to as “padparadscha”. 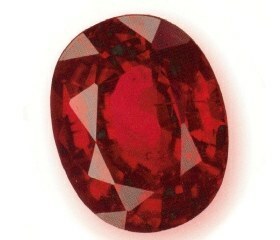 The name padparadscha is derived from the Sinhalese for “lotus flower”. 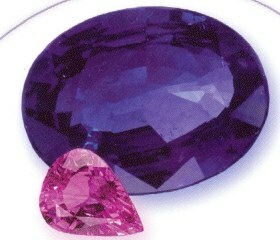 The mineral name for sapphire is Corundum and in its pure red form it is known as “ruby”. 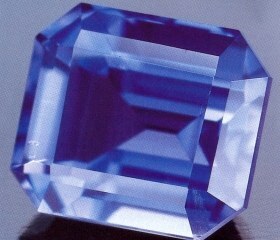 The finest sapphire color in the blue hues is a rich, velvety, cornflower blue known as “Kashmir”, which references the area of India where these precious gemstones were once mined. 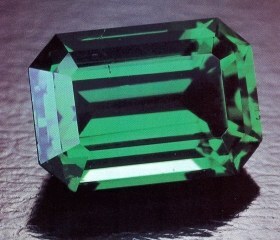 Most current production comes from Sri Lanka, Burma, Thailand, Australia, Africa and Montana. 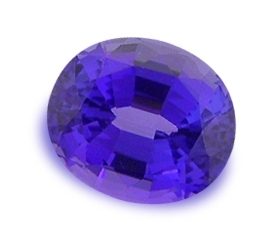 Sapphire will sometimes occur in nature in such a way whereby numerous needle-like inclusions within the gemstone are oriented in just the right angles within the stone, to produce a phenomenon that is called “asterism”. 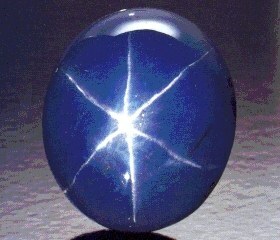 As such a six-pointed star will appear to float just beneath the surface of the gemstone when subjected to an incandescent light source. 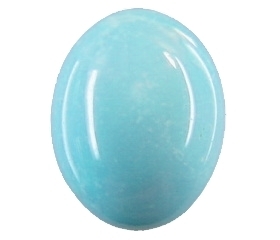 These gemstones will always range from translucent to opaque and they depend on the cutters art to fashion them into a polished, domed shape known as “cabochon”.